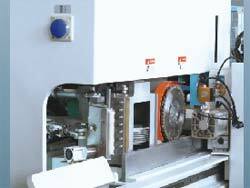 The septum pneumatic valve of Bosch rexroth of Germany can make each action fast and reliable. 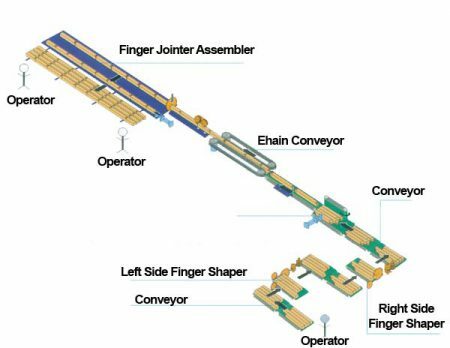 Lenze transducer system of Germany not only can satisfy the request finger jointing speed of the different woods but also insure finger jointing steady and reliable. 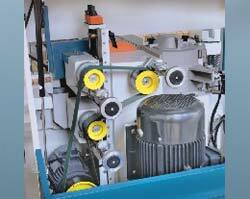 The imported dual-linear guides and sliding seats conduct the movements of all saw spindles and workstations of the tenoning machine. Thw whole set of safety barriers isolates the men from the danger zones completely. All door fans are chained with the control circuit. The air pressure sensor can prevent the machine from combing when the air pressure is below the safe standard and the check valve can maintain the safe air pressure throughout the process and the tip sensor ensures the the processingbject are combed in the impacted state. The laser-targeted irradiation technology enables the alignment check of the face and height of the wood. 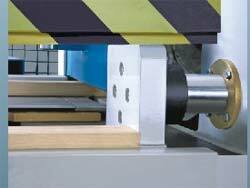 The tooth hardwood installed on the back board can effectively avoid the avulsion and collapse of the last wood. Equipped with the organized and compact knive-shaft drive. 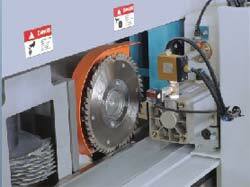 All the knive-shaft are driven by the leather belt so as to lilibration when operating. 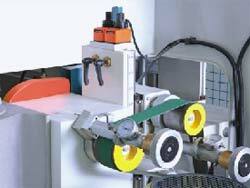 After the adjustment of the tool position the leather belt has the automatic tension function. Equipped with the up and down scoring saw blades and the spiral smashing saws of Germany, all the tooth styles can be processed perfectly through the transformation of the knives, no matter the positive/negative joint or exchange-shoulder joint. The pneumatic spraying device can respond quickly to the star-stop mark, repaetedly pressing the manual button of spraying can clean the spraying system easily. 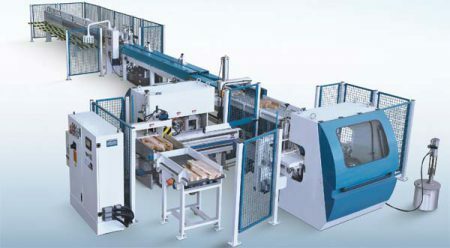 Different sizes of the nozzle are adopted according to the different viscosity of the glue and the quantity of nozzle is in accordance with the cross-section’s height of the wood. 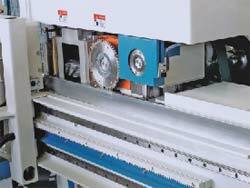 Only one piece of glue film is covered on the tool compared with the traditional coating system. Can save 30% of the glue. 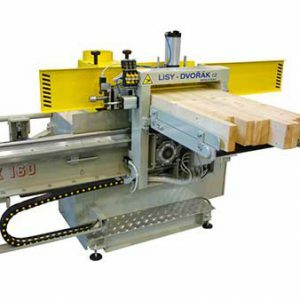 The unique small second plate device enables the end of the short wood to be delivered normally into the vertical position after cutting. The special large oil tanks can push-oriented set (reach 12 tons of the pressure) to ensure the reliability of the vertical joint. 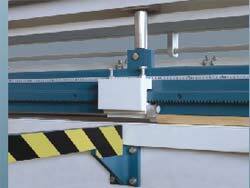 The length block device of vertical joint can quickly adjust when the length of the jointing wood is with 6m-3m. 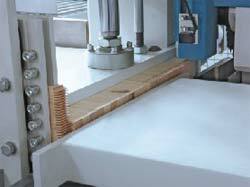 To change the block size to suit different sizes cross-section of wood. Dust Outlet Diameter ø 250mmx2 pcs. ø 100mmx 1 pc. The air pressure sensor can prevent the machine from combing when the air pressure is below the safe standard and the check valve can maintain the safe air pressure throughout the process and the tip sensor ensures the the processing object are combed in the impacted state.